Our family has been involved with a local theater group for many years now. In fact the only two members of our family that has not performed with the STARS Community Group are Brandon, and Lacy the wonder dog, but you never know what the future may bring. Jamie was Truvy in Steel Magnolias, Lindsey played Aunt Fern and I made an appearance as Spud. This week is no different. 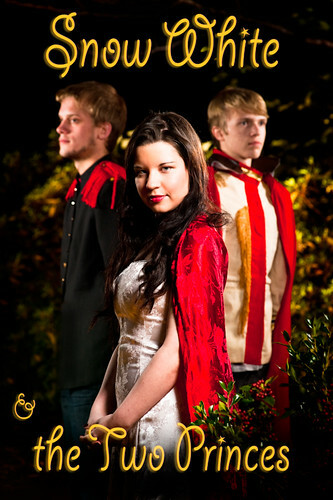 Lindsey and I both have parts in the Snow White and the Two Princes performance tomorrow and Saturday. I also started providing the head shots and poster for each of the plays. Above is the poster for this weekends performance. I’m thankful to be part of the group and be able to provide the photograph for them.